Home / Mexican Art / By Location / Tonalá, Jalisco / Rigoberto Mateos: Tall “T” Vase……. Rigoberto Mateos: Tall “T” Vase……. Rigoberto is the son and disciple of the master Rigoberto Mateos Ortega. 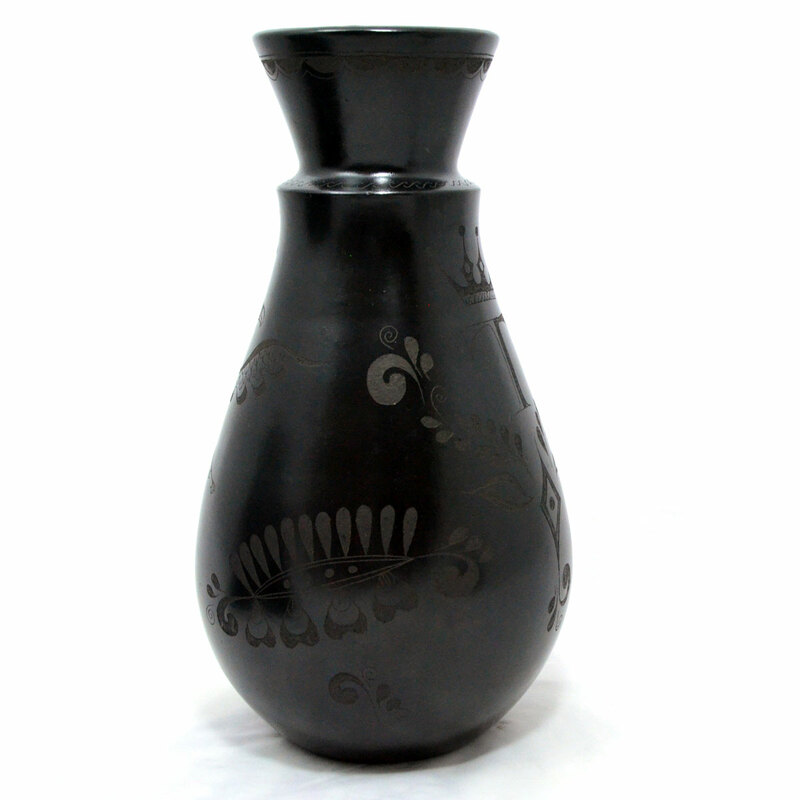 Now in his early thirties, he continues working in the tradition of the black engraving clay technique. His pieces are elegant and stylized, made in small and medium size format, with a geometric decoration style.